In “Christianity After Religion: The End of Church and the Birth of a New Spiritual Awakening” Diana Butler Bass explores the notion that, within Christendom religion (representing that period between when Christianity was institutionalised within the Roman Empire and the mid twentieth century) the prevailing faith development paradigm was Believe, Behave, Belong. I’ll call this paradigm one. In this paradigm the faith development experience is represented in three linear steps. Firstly a person affirms a set of externally mandated, mental propositions relating to the religion. In Christianity this has generally been a set of simplified propositions about the characteristics of Jesus and the effect that knowledge of Jesus has on the believer. This is the believe step within paradigm one. Secondly, somehow, these sets of mental propositions give rise to a change in behaviours. Perhaps the most common manifestation of this idea is equally the one I find hardest to understand. It is the relatively recent notion that affirming a set of statements about Jesus should or will give rise to a certain set of behaviours, simplistically labelled family values. This is the behave step within paradigm one. Thirdly is the idea that once I behave a certain way, I will be acceptable for admission into the particular religion. This is the belong step within paradigm one and relies on a rather tribal and hollow definition of belonging, it seems to me. It appears to look at the question of belonging from the perspective of how to maximise exclusions. Butler Bass goes on to suggest that certain ancient and mystical religious experiences are being recovered in various contemporary, emergent religious expressions. These experiences turn the first paradigm on its head to create paradigm two: Belong, Behave, Believe. In this, the order is not only reversed but the elements of the paradigm take on more complex, less linear meanings. 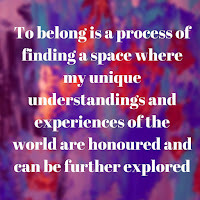 To belong here means that faith development starts through the process of finding a space (whether that is a faith community or more general community setting) where my unique understandings and experiences of the world are honoured and can be further explored. In religious jargon, it is the place where my indwelling divine is acknowledged and celebrated. 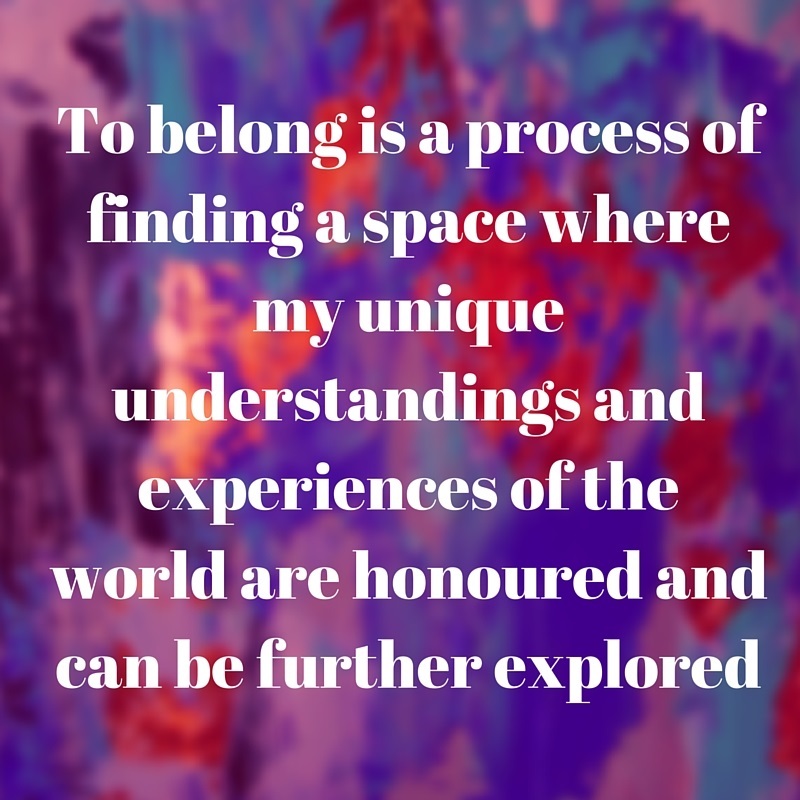 I often explain this idea of belonging by turning the word around: it is indeed the place where my “longing to be” is recognised. The way we behave within this paradigm stems from the acknowledgement of the indwelling divine. Rather than a false connection of unrelated ideas (like by stating these "Jesus principles" it means I must live out "family values") the way I behave reflects the best way to honour the divine in all members of the community. It is not an externally set thing but a contextual thing. I don’t behave (have to be) according to some external script. Instead my behaviour develops in the context of honouring all souls within the community. The "have to" is a soft notion discovered together and not a hard notion mandated from outside. What we believe in this paradigm comes about as a result of that set of behaviours (we might use the term practices) we have developed as a community. We give up the contemporary meaning that has been claimed for the word believe: a set of metal propositions that I choose to regard as fact. Instead we reclaim more of the earlier etymology of the word in its German form; belieben: that which I can give my love or trust to. So believing means that we begin to have trust in a way of life where we develop a set of community practices consistent with who we truly are.